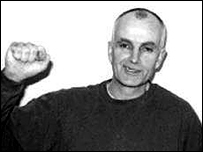 Described by the judge during his trial as an "urban terrorist", Barry Horne was sentenced to 18 years in jail in December 1997 for a nationwide fire-bombing campaign. 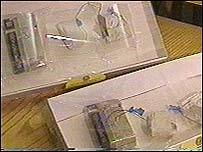 The Norhampton man was arrested in July 1996 by undercover police after planting two home made bombs in Bristol's Broadmead shopping centre. The bombs had been left in a charity shop and in BHS - primed to go off at midnight - when police made the arrest. They found four more bombs on Horne, whose fingertips where covered with sellotape. One senior police officer described him at the time as a "dangerous and ruthless" individual. "He believed he could plant these bombs and get away with it," he added. Horne was convicted at Bristol Crown Court at the age of 45 on 14 charges, including causing damage costing millions of pounds to shops by arson, and attempted arson. The Bristol firebombs matched some found in 1994 after four shops were damaged or destroyed on the Isle of Wight. Horne pleaded not guilty to these attacks. A branch of Boots was destroyed in one of the blazes: no one was injured but the fire caused £3m damage. In 1995, police raided Horne's safe house in Swindon - rented under a false name - where they found an article boasting of "an excellent year in which we have inflicted losses on the animal abusers". But Horne always had his supporters. Pensioner Doreen Pane wrote to Horne during his time at prison, and described him as always hopeful. "I thnk he did a very brave thing. "He was willing to sacrifice his own freedom for the sake of this cause. "He said once that one day people will regard specism as we now regard racism," she added. Horne lost an appeal against his conviction in February 1999, and almost died from a hunger strike a year earlier in an attempt to get the government to set up a Royal Commission into vivisection. He died in hospital in November 2001.